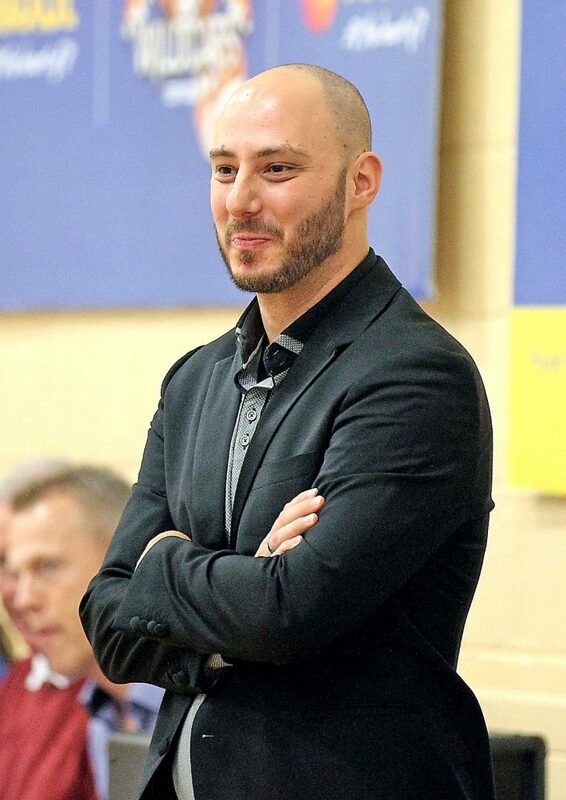 Maxol WIT Wildcats head coach Dimitris Zacharia will return to Greece after doing a great job with the Waterford club this season. Photo: Noel Browne. Maxol WIT Wildcats bowed out of the race for this year’s Super League title when they went down 72-53 to favourites Father Matthews in Cork on Saturday evening. Wildcats came up short on both occasions home and away to the Cork side in the regular season. However a very good winning performance in their previous game away to IT Carlow instilled a belief in the Waterford outfit that they could upset the odds and come away victorious this time. Unfortunately at no stage did that seem possible as from the tip off Fr. Matthews were into their stride gradually putting distance between the teams to lead 45-32 at the half way stage and eventually comfortable winners at the games end. As a unit Wildcats could never clicked in spite of top performances from Steph O’Shea, Jazz Walker and team captain Sinead Deegan. Young Meibh Maher did a fine job but others struggled to find their true form. At the start of the season Wildcats brought in Greek coach Dimitris Zacharias and hopes were high in the Wildcats camp regards bringing home silverware and many excellent performances throughout the season indicated that this quest was a serious possibility. However consistency proved a problem with really good home wins and many poor performances on the road. Dimitris will soon return to his native Athens and he will go there knowing he has done a very good job, with this team, introducing an exciting blend of basketball which both players and supporters really enjoyed. No doubt he will go on to bigger and better things in the game. Wherever the game takes him all at Wildcats wish him well and thank him for all the hard work he did while in Waterford. While the seniors are done and dusted for the season Wildcats underage teams are still very much involved in both the South East and Munster leagues and cups. Also, many of the players are part of Irish under age panels who will train hard over the coming months as they try to make the final. 12 players who will represent Ireland in the European championships this summer. Good luck to Irish U-18 head coach Tommy O’Mahony and his team who travel to Macedonia in July and another Wildcat, Jillian Hayes is assistant coach with the Irish senior team who travel to both Estonia and Denmark this August. Finally a huge volume of thanks to our sponsors Maxol and WIT, to the Mercy Secondary School who have provided with a home since day one back in 1983 – many thanks. Our gratitude to WLR and the local papers who are always a great support and finally to our faithful supporters. They are the best in the country and stick with us – there are good days coming up soon .